That’s what my nine year old asked me the other day, and finding out the answer started a bit of an obsession with things that glow in the dark! While investigating what things glow in the dark and why, we discovered some really cool videos, so we thought we’d share our favourite glow in the dark videos with you. My 6-13 year old kids have enjoyed watching these videos, but some video content can be unpredictable and inappropriate for younger viewers, so check these out yourself first if you are unsure. 1. To answer that initial question ‘why do some things glow in the dark?’ this video from At-Bristol Science Centre does a great job of explaining. 2. BrainStuff – HowStuffWorks shares this great video explaining how glow sticks work and why putting them in the freezer really does prolong the glow! 4. 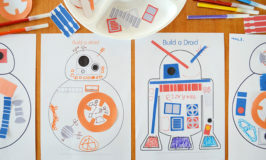 If you want to try some glow in the dark crafts and activities, Brianna Renee shares 8 fairly easy ideas which are even more fun if you happen to have a black light handy. 5. Our glowing obsession quickly turned from cool crafts to nature, and of course fireflies. Since my kids have never seen one in real life they are fascinated by them and this National Geographic video explains more about the synchronous fireflies. 6. This fire fly video is just mesmerising! 7. From fire flies to bioluminescent sea creatures. This video is full of amazing ‘glow in the dark’ sea creatures. 8. I’ve actually been lucky enough to experience the ‘bioluminescent water’ at an Australian beach… but my kids didn’t believe me so I had to show them this video. 9. My three dance obsessed kids loved this video of Wrecking Crew Orchestra. Thanks to The Kids Should See this. 10. Then they found a DIY version and they are very keen to choreograph their own glow in the dark dance! 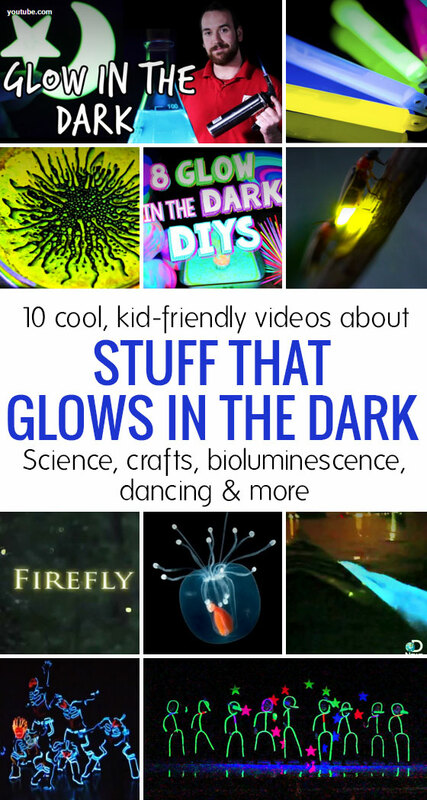 Do your kids love stuff that glows in the dark? What is your favourite glow in the dark creature? 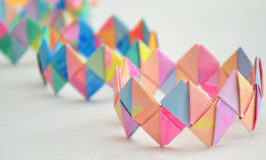 Have you ever tried any glow in the dark crafts or activities? Which was your favourite? Do you have a favourite glow in the dark video?